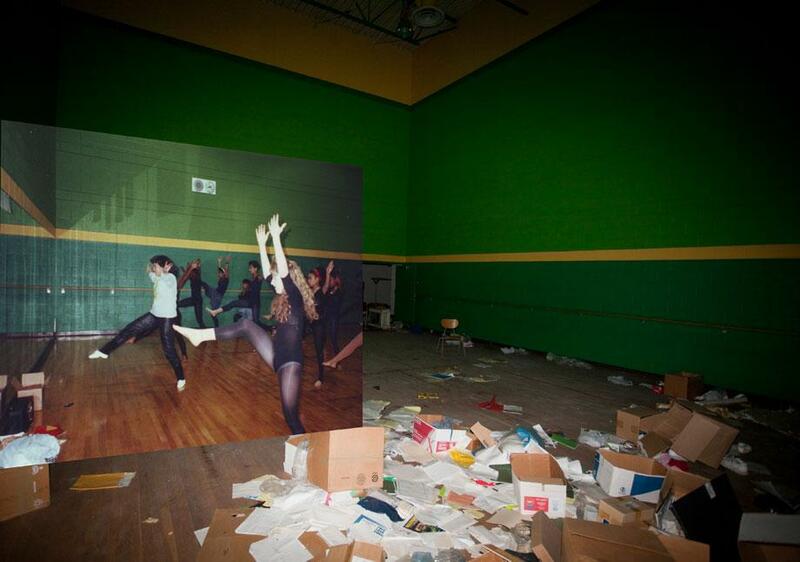 Detroit Urbex: Using photomontage to compare the history of Cass Tech High School (PHOTOS). 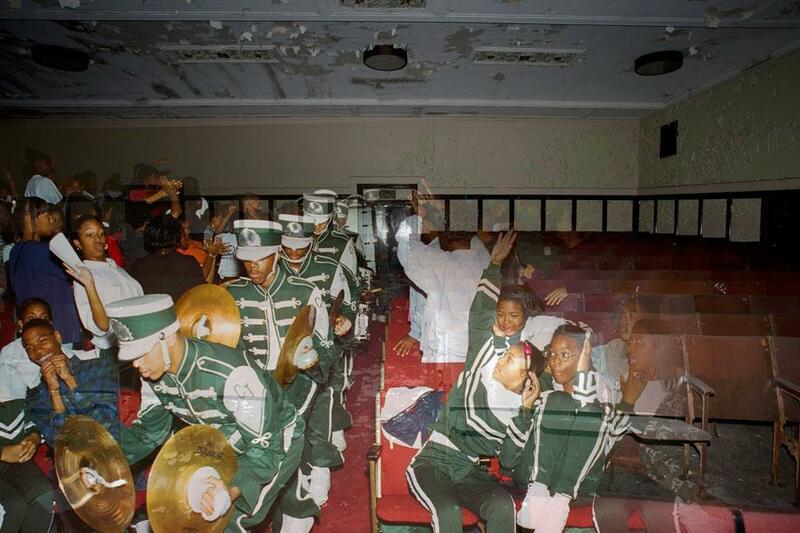 When Detroit’s Cass Technical High School was closed in 2005 in order to move to a new building next door, the city was scheduled to lose one of its unofficial landmarks. 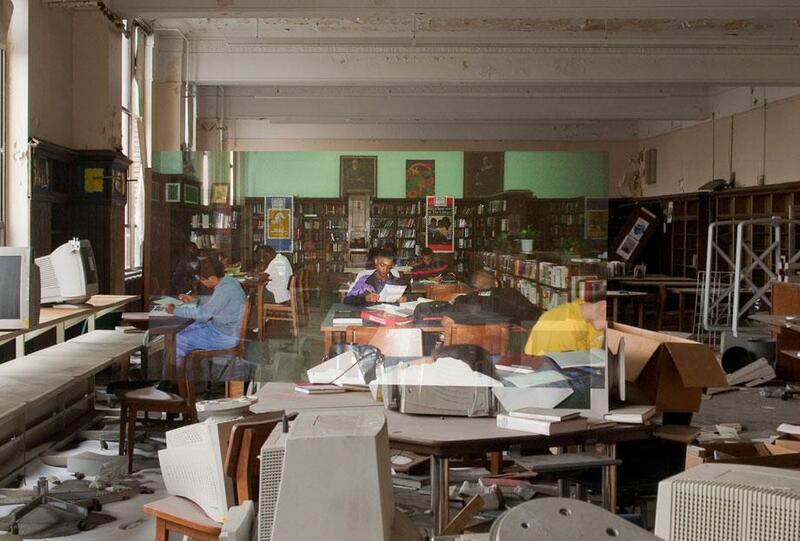 Built in a style of gothic construction at the beginning of the 20th century, Cass Tech was a symbol of success for one of Detroit’s only magnet schools; it was demolished in 2011. Between the move and the time when the building was torn down, the once majestic building was left to decay. 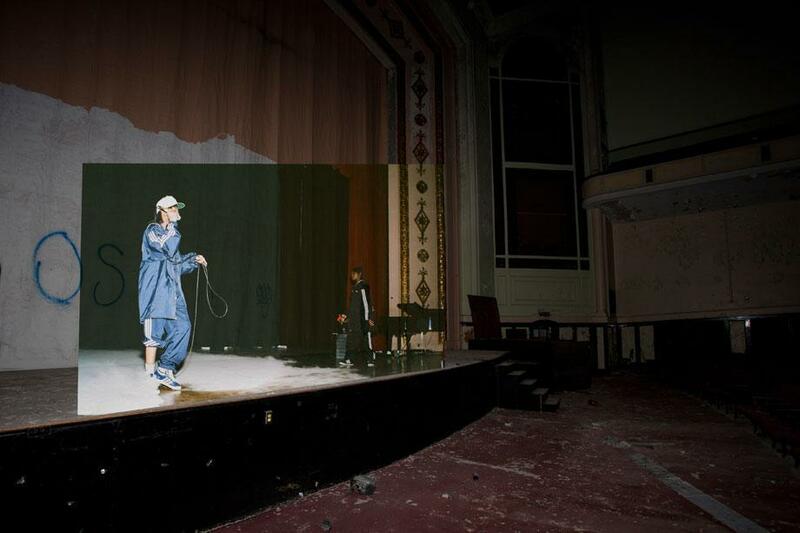 A fire swept through its floors in 2007, devastating abandoned rooms once filled with life. 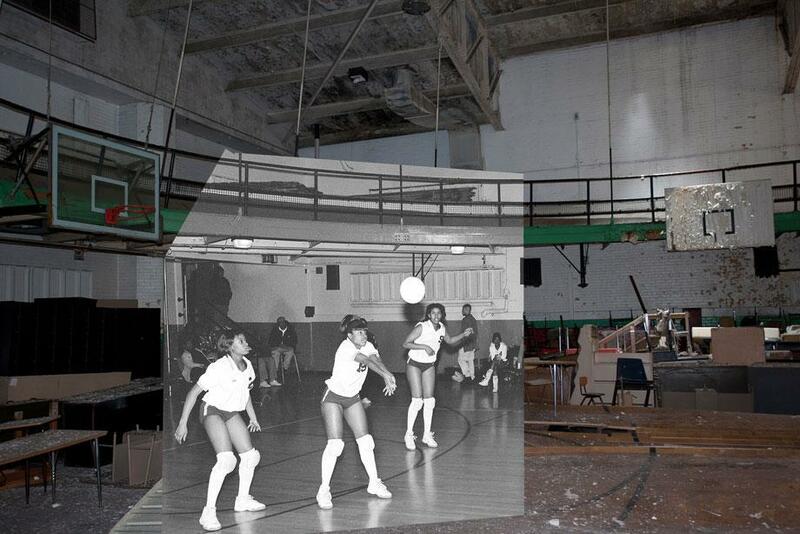 To mark the contrast of the school both during its prime and demise, Detroit Urbex created a nostalgic photomontage of Detroit’s urban remodeling, available as an online archive. 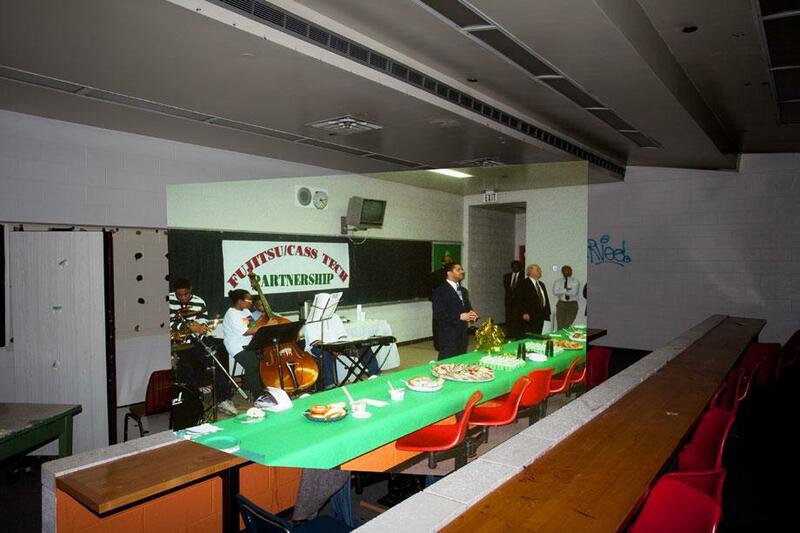 The most striking aspect of the “Now and Then” series is that the classrooms remained almost unchanged after the building was abandoned, still equipped with computers and furniture. Detroit Urbex’s series was influenced by the work of photographer Camilo José Vergara, who has documented the evolution of American cities taking the exact same photograph over a period of time, sometimes over decades. 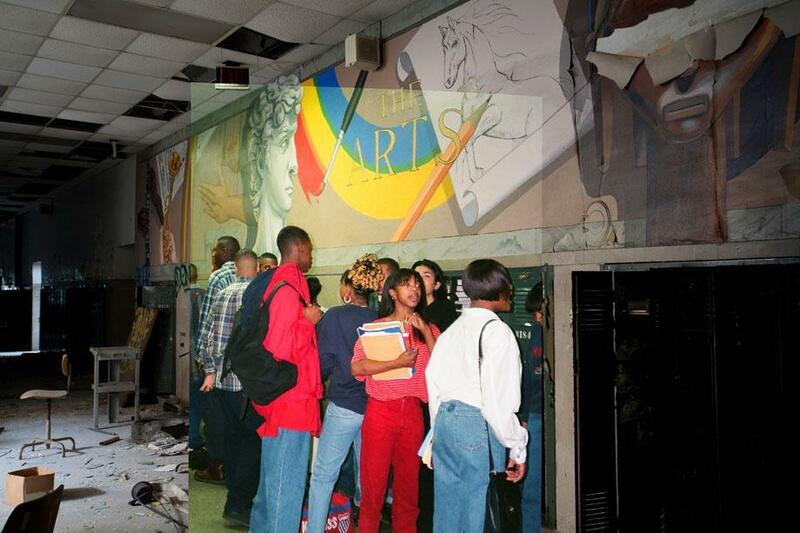 In the Cass Tech project, images Duce took of the destroyed school were layered with photos from the 1980s and 1990s that came from a box of negatives found in the old yearbook room. 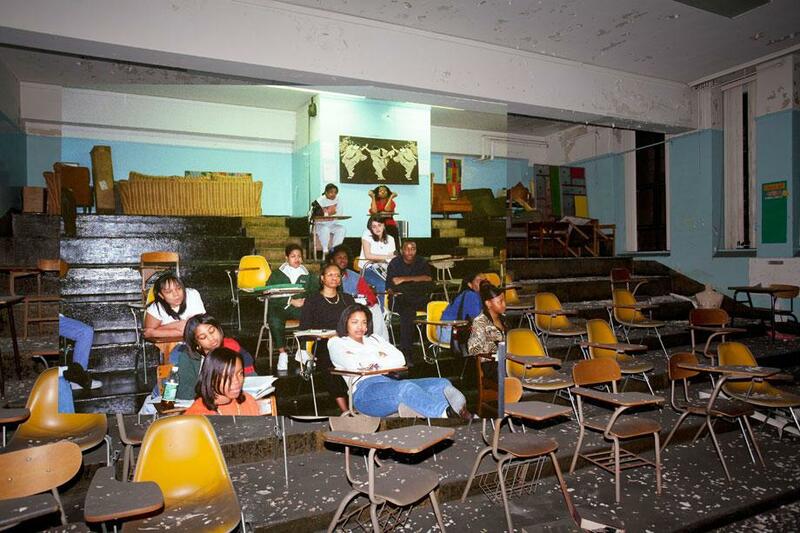 What doesn’t appear in the images, however, is how the old Cass Tech, with its classic and imposing architecture, made high-schoolers feel like they belonged to something great. In an NPR interview, Jack White of the White Stripes, one of the school’s most famous alumnus, articulated this sentiment: “Going to school there at 14 was like all of a sudden you were going to Harvard or something,” he said. 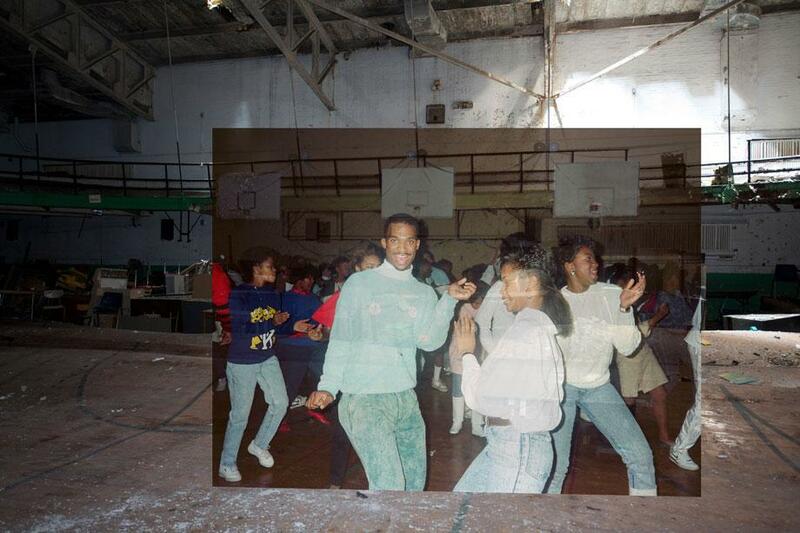 Though Detroit Urbex’s Cass Tech series failed to stop the school’s demolition, it remains an important testimony of what the school used to be. Pep band makes their way through a crowd. Dance hall in the new wing.